Hello mates, Once again welcome to our website in order to download Samsung j500F FRP reset file with Odin software. However, we are here creating lock remove flash files to prevent and remove FRP without losing anything. Almost it is ready to write your concerns with using z3x box right away. This download including 3 packages to ensure the Samsung update and remove the account. with for side sync and comfortable to resolve for modem file errors in real means. 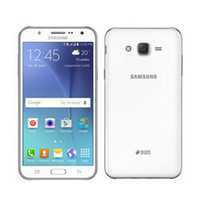 If you have a Samsung Galaxy SM-J500 mobile smartphone and you already reset it using power and volume keys. That reset was successful but now you are just got stuck at Google account. And you are not able to do something with that. You fail to skip or bypass it so you would decide to search it on google and here you are just land in the right place. Moreover, this Samsung J500f FRP Reset File With Odin (The Android factory reset protection) is now featuring new and handy ways. So be careful before to reset an Android device including cellphone and tablets. This package includes following important files. Finally, your download files are ready right here below. I must recommend downloading these both from their concern locations. After downloading of this you just need to flash this file with Odin software. Genuinely I add the download link for Samsung Odin as well in underneaths. Additionally, then do reset FRP by the Z3X Pro or any box or any other such flashing box you have.